are some of the most iconic Hawaiian flowers. This yellow variety of this iconic flower is the official State flower for Hawaii. With variations of pink, red, purple, golden and orange, the hibiscus flower is used for many occasions. This includes hair adornments, costume accessories, cake decorations as well as an ingredient for tea. 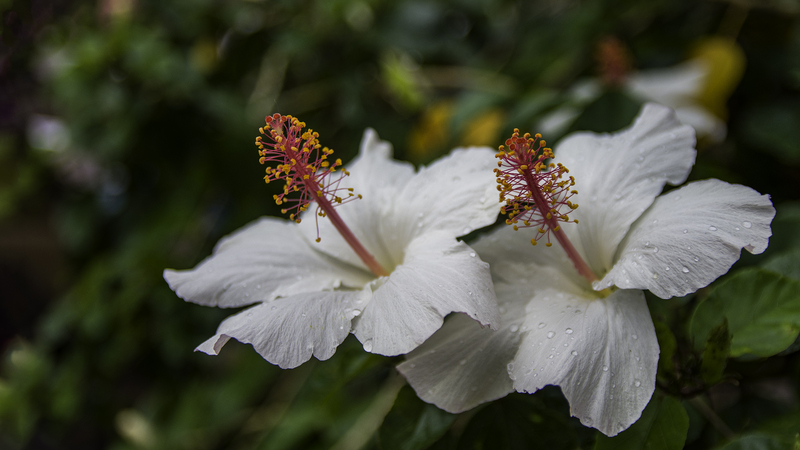 The delicate features of this flower make it one of the most popular symbols of Hawaii. These vibrant orange flowers have flourished in Hawaii since the 18th century. They are often strung together as leis. Some use its seeds in Hawaiian rattles and musical instruments. Similar to the canna, these goblet-like flowers thrive in the forests and bloom during the winter months. The lengthy flower’s neck can extend up to 9 inches long and emits a delicious fragrance. One can find these flowers growing abundantly on Maui and in Akaka Falls State Park on the Big Island. These spiky red or pink flowers look like a delicate a lobster claw. They can grow on thick stocks extending up to 20 feet high. Although the Heliconia originated from South America, there are over 20 species of the flower now found in Hawaii. 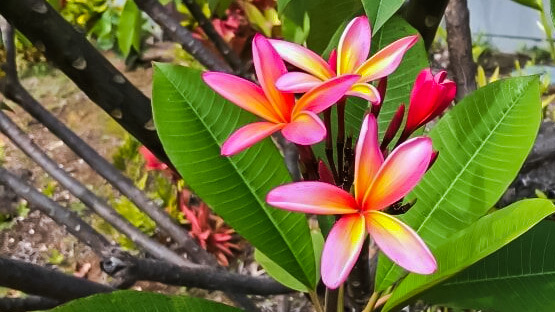 These mini-bouquets of pink and red flowers grow throughout Hawaii’s coasts. You can can string them into leis if done carefully. However, the most popular way to view ixora is seeing them in Hawaii’s gardens and roadsides. Like many flowers found in Hawaii, Gardenias originally came from Asia. These divinely aromatic flowers have several species. Some grow petals in a rose-like fashion or in a pinwheel shape as in the case of the Tahitian Gardenia. These flowers grow in shade in moist volcanic soil in colors of white, yellow, blue and red. 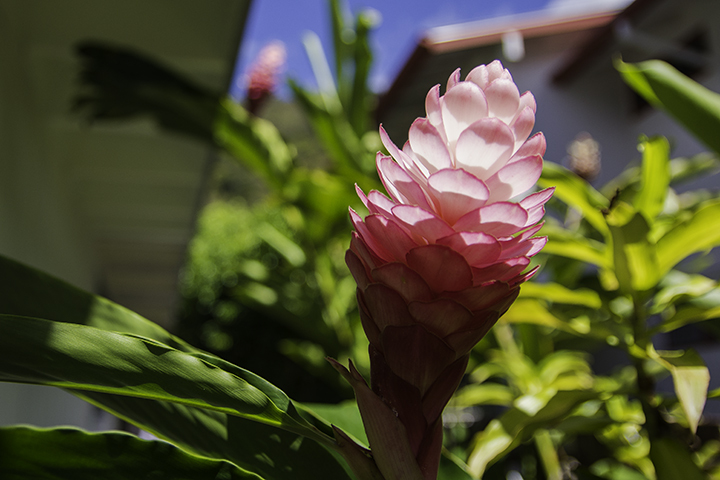 Ginger can easily overtake an area, growing quickly and blooming from August and through late autumn. But one should confuse it with the white ginger lily flower, which people use to make ginger leis. This puffy flower comes in yellow, orange, white or red. It’s one of the most common flowers in Hawaii. The ancient Hawaiians once used its leaves in medicine and believed that plucking the red lehua could bring rain showers. Lilikoi or passion fruit flowers are some of the most complicated and distinct in Hawaii. Although there are 500 species of passion vines, only two, including the lilikoi, bear fruit. This plant came to Hawaii from Australia in 1923. Its tart fruit is very popular in Hawaii. The passion fruit is a favorite flavor in ice cream and shave ice. The orchid has dynamic color variations. It grows in many regions with buds blooming for months at a time with minimal water. This durable flower is common in Hawaii. People use it as decorative pieces in restaurants, offices or homes or strung on leis. The Dendrobium and Epidendrum are the most popular varieties in Hawaii. Simple and white, this flowering plant is native to India, but now thrives in Hawaii. Pikake is the Hawaiian word for peacock. This is because the peacock and this flower were favorites of Princess Ka’iulani. As a result, it became common to call the flower by this name. The pikake is typically worn as a lei. Many consider the pikake one of the most desirable Hawaiian flowers. The plumeria embodies both subtle beauty and breathtaking fragrance. The small white, pink or red flowers have rosy gold and soft thick petals that fan out beautifully. The plumeria is a seasonal flower, thriving best in full sunshine and moderate humidity. On warm days, the scent of the plumeria is evident to all who pass by. It’s so irresistible that many people will add a blossom to their hair or clothes. This flower has elegant white and soft pink petals. This night-blooming flower emits a deliciously rosy aroma and grows best in deep moist soil. Although native to Mexico, these flowers have become common in Hawaiian leis. The Hawaiian rich soil, consistent rainfall and sunshine create the perfect environment for flowers to flourish. On your next trip to the Aloha State, explore hidden trails, nature hikes and the Hawaii State Parks. Here, you can catch a glimpse of Hawaiian flowers blooming in their natural habit.